I know more than a few people, including my girl friend, who would kill for this opportunity. 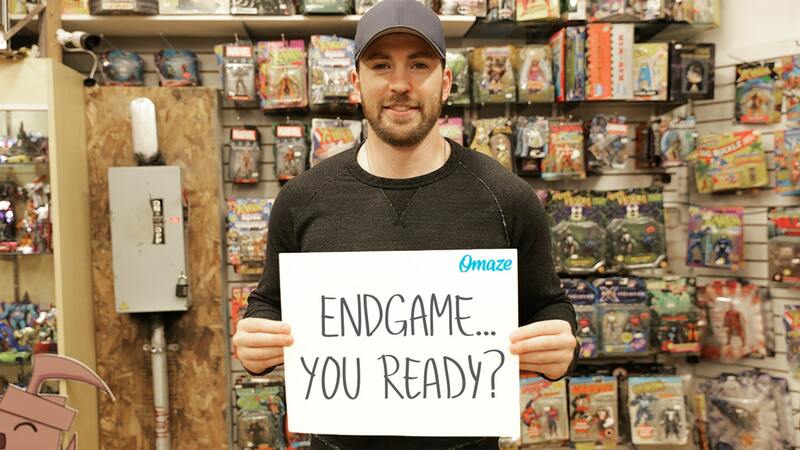 Chris Evans, AKA Captain America has teamed with Omaze to walk you and a friend up the Red Carpet at the premiere of Marvel’s Avengers: Endgame. Not only that but you will get a signed replica of the Infamous Captain America Shield, be flown out to the premier location and put up in a 4 star hotel and finally you will see Infinity War before everyone else, how can you say no? Not only will you have a good time but everyone that enters will be supporting Christopher’s Haven, located in Boston, Massachusetts, is a supportive community for families of children being treated for cancer in nearby Boston hospitals. On Labor Day in 2006, Christopher’s Haven opened the door of one furnished and comfortable apartment to a family who had traveled from Alabama to Boston seeking life-saving treatment for their seven-year-old daughter. Since then, the organization has helped over 300 families and now includes seven residential apartments and a community area that provides programming for children undergoing outpatient treatment, as well as their siblings and parents. If you are interested check out the link here.